The bodies of Canada's latest fallen soldiers in Afghanistan are expected to return home Tuesday afternoon. Master Cpl. Kristal Giesebrecht, 34, and Pte. Andrew Miller, 21, were killed Saturday when their armoured vehicle was struck by an improved explosive device in Afghanistan's Panjwaii District, about 20 kilometres southwest of Kandahar City. 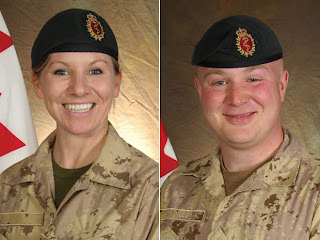 The two medics from Canadian Forces Base Petawawa - about 160 kilometres northwest of Ottawa - are the 149th and 150th Canadian soldiers to be killed in Afghanistan since Canada entered combat there in 2002. They were the sixth and seventh medics to die in Afghanistan and the 11th and 12th Canadians to die there in 2010. Giesebrecht, who was married and leaves behind a stepson, is the third female soldier to die while deployed for Canada in the war-torn nation. She was serving her second tour in Afghanistan. Miller, who was from Sudbury, Ont., was with 2 Field Ambulance, while Giesebrecht - who called Wallaceburg, Ont., home - was from 1 Canadian Field Hospital. Both units were based in Petawawa. He is survived by his mother, Wendy Miller, his father, Raymond Ealdama, two sisters, a brother and his girlfriend, Staci Jessup - "his soulmate." In a statement released Monday, Miller's family said he was "proudly following in his father's footsteps, initially into the military and then by deploying to Afghanistan." Miller's father, a member of the Greater Sudbury Police Service, served in Afghanistan in 2008 as part of the Canadian Civilian Police training contingent in Kandahar City. "Andrew believed strongly in the mission and went to Afghanistan knowing he was making a difference for the Afghan people," the statement said. "Andrew loved his job and died upholding his beliefs and values in the service of his country." Another Canadian soldier was injured in the blast, but was listed in stable condition. At the time the soldiers were killed, Giesebrecht, Miller and other Canadian troops were responding to a call for help from an Afghan family whose doorway had been rigged by the Taliban with an improvised explosive device. 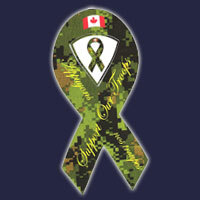 The repatriation ceremony is scheduled to take place at 2 p.m. Tuesday at Canadian Forces Base Trenton. In addition to the families of the two fallen soldiers, Defence Minister Peter MacKay and Chief of Defence Staff Gen. Walt Natynczyk are also expected to attend. Sgt. 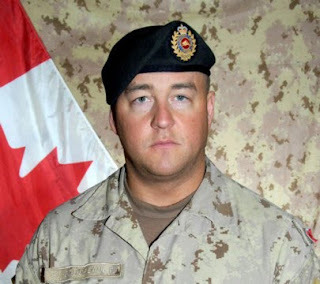 James Macneil of Glace Bay, N.S., was killed Monday, July 21, 2010 while on a foot patrol in Nakhoney, 20 kilometres southwest of Kandahar. Macneil was a combat engineer with 2 Combat Engineer Regiment of Canadian Forces Base Petawawa, Ont. A 10-year army veteran, the 28-year-old Cape Bretoner was two months into his fourth tour in Afghanistan. The sapper, who was known to his comrades and friends as "Jimmy," was patrolling with other members of the Royal Canadian Regiment battle group in Panjwaii District, when he was killed by an improvised explosive device -- a homemade landmine. He is the 148th Canadian soldier to die in Afghanistan since 2002. 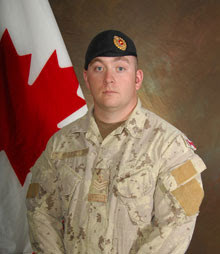 "Insurgent forces use improvised explosive devices to instil fear in the local population and restrict the efforts of those attempting to aid and protect that population," Brig.-Gen. Jon Vance said in announcing Macneil's death near a memorial honouring all those Canadians who have fallen in Afghanistan. Eight other NATO soldiers were killed in militant attacks and a helicopter crash on Monday, the second deadliest day this year. Three Australian commandos and a U.S. soldier were killed when their helicopter crashed in southern Kandahar province -- the single worst loss of life for the Australian military in the nearly nine-year Afghan war. It was not known if it was due to hostile fire. Another U.S. soldier died in an explosion elsewhere in the south, the power base of the Taliban militia that is fighting an increasingly deadly insurgency against Western troops. Three more American soldiers were killed in other militant attacks, a NATO spokesman said. KANDAHAR, AFGHANISTAN – Sgt. Martin Goudreault was looking for a stockpile of insurgent weapons shortly after dawn yesterday when a makeshift bomb detonated, killing him. On his third tour of Afghanistan, Goudreault would have been more aware than most of the dangers leading such a patrol. “Sgt. Goudreault died what he loved doing best: leading his section from the front,” Brig.-Gen. Jon Vance, the commander of Task Force Kandahar, told a news conference Monday at Kandahar Airfield. The 35-year-old Goudreault died Sunday after an improvised explosive device went off at 6:30 a.m. near the village of Nakhonay in the Panjwaii district, about 15 kilometres southwest of Kandahar city. “Insurgents hide their weapons and IEDs amongst the civilian population and soldiers like Martin, both Canadian and Afghan, are working each and every day to find and eliminate these weapons caches,” Vance said. The native of Sudbury, Ont., known as “Marty” to his friends, was a 15-year veteran of the Canadian Forces and on his fifth overseas deployment when he died. Deployed about a month ago, he was a member of 1 Combat Engineer Regiment based at Canadian Forces Base Edmonton, serving with the 1st Battalion of the Royal Canadian Regiment Battle Group. “Recognized early in his career for his leadership, Sgt. Goudreault was a model soldier, someone the soldiers in his section could look up to and emulate,” Vance said. Prime Minister Stephen Harper expressed his condolences to Goudreault’s family and friends. “The lives of the Afghan people are better due to the efforts of Canadians like Sgt. Goudreault who provide security and stability,” Harper said in a statement. Defence Minister Peter MacKay said Goudreault’s death was another example of the daily risks faced by the men and women of the Canadian Forces. “Sgt. Martin Goudreault’s sacrifice will not be forgotten and it will not deter us from continuing to help Afghans rebuild their country,” he said in a statement. The latest death brings to 147 the number of Canadian military personnel who have died since the Afghan mission began in 2002. It comes less than two weeks after Trooper Larry Rudd of Brantford, Ont., was killed by an IED, also in the Panjwaii district. Known as the birthplace of the Taliban, the district has been a bloody battleground for Canadian troops since they arrived in Kandahar province in strength four years ago. Dozens of Canadians have been injured or killed in the restive region, and while villages and towns have been repeatedly cleared, the Taliban has quietly reasserted itself in parts of the area. IEDs have been the single biggest cause of death among Canadian troops in Afghanistan. Seven out of nine Canadian deaths this year were the result of an IED blast. In all, 88 of the 147 Canadian fatalities in the eight-year-old Afghan mission came about from IEDs — roadside bombs or some other type of explosive, according to the Department of Defence.